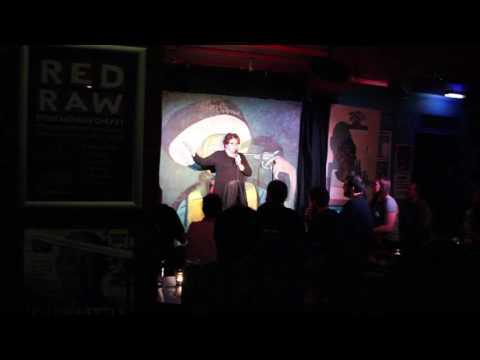 Daphna Baram is a stand up comedian and the director of ICAHD UK. Daphna was born in Jerusalem in 1970. She worked as a human rights lawyer representing Palestinians in military courts. She was the editor of the political magazine Mitzad Sheni for the Alternative Information Centre in Jerusalem and Bethlehem. She later worked as a journalist, news editor and deputy editor-in-chief of Kol Hai’r – a Jerusalem-based weekly of Ha’aretz Group. She has been a political activist against the occupation ever since her teenage years. She was a member of CAMPUS, Matzpen, Women in Black, Women in Peace, and others. In 2002 she came to the UK for the Reuters Foundation Fellowship at Green College, Oxford, followed by a tenure as a senior associate member at St Antony’s College. The two academic affiliations yielded her critically acclaimed book Disenchantment: The Guardian and Israel. She worked as an editor at the correspondents agency GRNlive and contributed analytical pieces and commentary to the Guardian, the Independent, the New Statesman, BBC, AlJazeera and other news outlets. She is a literary translator who translated 20 novels from English into Hebrew. She also taught courses in journalism at the University of East London. She started performing as a stand up comedian in 2010, and performed across the UK and Europe. Her current work, Daphna Baram: Sugarcoating is her sixth solo show. Daphna joined the Israeli Committee Against House Demolition – UK as its director in February 2018. Illuminating and poignant take on tough subjects. Fresh and enlightening, her warmth elevating the gentle, conversational nature of her delivery.